-Become more aware of our own differences and different needs. -Make an effort to get to know someone who is unlike others we know. -Consider easy ways to give more time, empathy and understanding to those who need it. -Look for ways to include one another. -Recognize we can respect another’s perspective without agreeing. -Treat others with dignity. Respect the privacy of others, even that of our own family members. -Understand that even those who cannot speak out loud or in our language still have something to say. -Celebrate differences of others and fight the human nature to assign value to an individual based on what he or she can and cannot do. The suggestions listed above are not just to increase autism awareness, but to help each of us gain appreciation for all people. Our staff is reading A Wrinkle in Time together. While reading the book, we are focusing on the neurodiversity in the different characters. In addition to the differences we can all see on the outside of others, we want to celebrate the neurodiversity in all of us! We are so excited to launch our new website and share with the world our amazing programming and support options at Green Oaks Education and Support. March is Intellectual Disability Awareness Month! The first Wednesday in the month of March is Spread the Word to End the Word Day. So, this month we are all about awareness. We want to create more accepting attitudes and communities for all people. Spread the Word to End the Word is an on-going effort to raise awareness about the dehumanizing and hurtful effects of the word "retard(ed)" and encourage people to pledge to stop using the R-word. The motivation for this campaign is about promoting the positive contributions people with intellectual disabilities make to communities around the world combined with a simple call to action – a pledge to stop using a word – that also symbolizes positive attitude change and a commitment to make the world a more accepting place for all people. 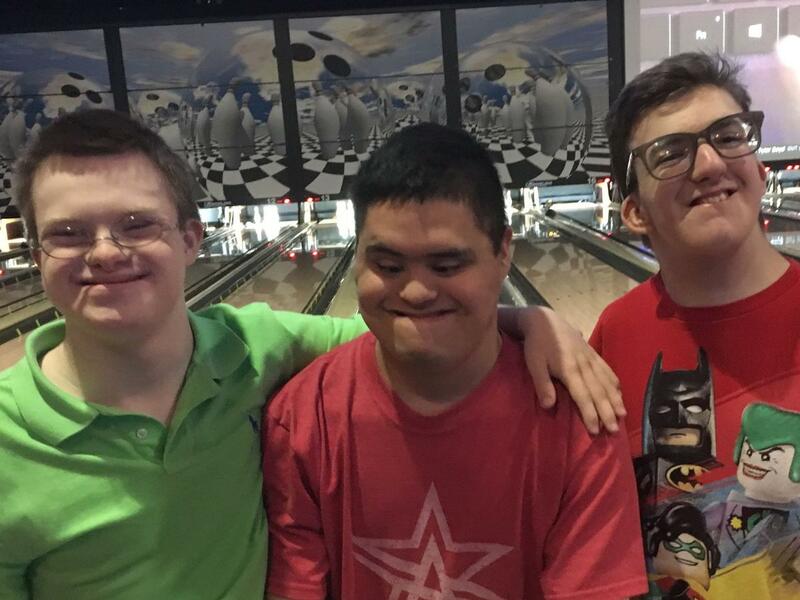 Although you may have a child or a sibling with an intellectual disability, do you have a relationship, a true friendship, with anyone else who has an intellectual disability? If not, I encourage you to reach out to a local organization that serves individuals with intellectual disabilities and get involved. Come volunteer at Green Oaks Education and Support or with Club 321. For those unaware, Green Oaks Education and Support, Inc. is a nonprofit organization serving individuals with intellectual disabilities and their families, as well as the community, in the North Texas area. In addition to having a private, Christian school option (Green Oaks School), an adult continuing education program (Green Oaks Adult Learning) and Club 321 (an adult social club), we provide support to families and others in the community. We are also developing a post-secondary, college-like program that will focus on vocational preparation and developing independent living skills. Potential Family Open House on Monday, March 26 anytime between 9:00 am and 11:30 am. Lunch & Learn on Tuesday, April 10 from 11:30 am to 12:30 pm. Please RSVP by email to office@greenoaksschool.org or call the Green Oaks office at 817-861-5000.